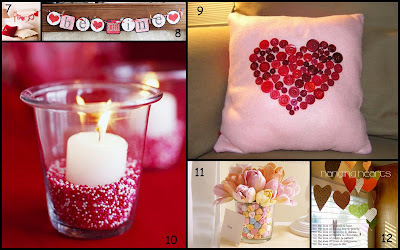 How about a few ideas to inspire your home decorating this Valentine's Day? How cute are these ideas?!?! There are so many more...but these were a few of my favorites. 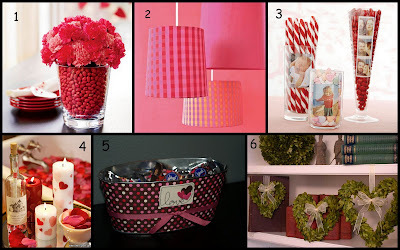 Feel free to leave me the link to your or your favorite Valentine's Day Decor! I LOVE the heart wreaths! And I also love the idea of putting candy in a vase with flowers and the sprinkle candle holders. Oh no... now I'm going to end up going nuts for VDay! i appreciate the link. loving your valentiney blog. So cute! I can't wait to get my own place and use some of these ideas! Oh, the button pillow makes me wish I was craftier...SO. CUTE.